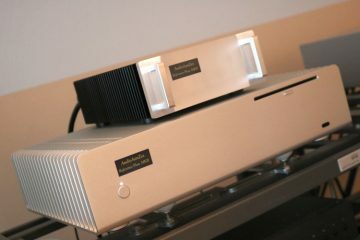 My long-standing reference, the Jeff Rowland Aeris DAC, was first used. Connected via Audioquest Diamond USB cable, the two servers were compared. The first power cable that I tried (Mad Scientist the First) worked so well that I didn’t bother swapping it for others. It is, however, important to experiment with power connector phase, as this makes a marked difference. 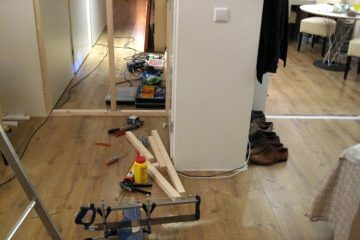 Just try it by rotating the Schuko: one way around will sound slower and the other will sound more upbeat. Although I am very familiar with my Ultra Flow, I decided to make a special playlist with varied music, to carefully compare between Ultra Flow and Reference Flow. But just like the first time that I heard the Ultra Flow, once again the quality of performance was so evident that I needed all of 20 seconds of the first track, to recognize that the Reference Flow not only sounded better than the Ultra Flow, but that it also sounded better than the Mark Levinson 37 transport into the Rowland Aeris DAC, and in areas where I wouldn’t have thought this possible. Just like the Ultra Flow, the Reference Flow is master of treble refinement, but it adds even more fluidity and much longer sustain of notes. The midrange is a lot richer and fuller, but with all the texture still in place, and the bass is fuller, with more body and slam. There is a very relaxing calmness to the sound but just the same the server digs out the most minuscule details with ease and is dynamically completely unrestrained. Soft sounds are soft, but loud peaks really come across with full force, meaning that in spite of its more luxurious sound, the Reference Flow doesn’t compress dynamics, and it definitely isn’t slow. Interestingly, for the first time, a music server not only sounds more fluid than CD, it also sounds more continuous and is even more engaging, not only in parts but totally! The Ultra Flow is already more fluid and has airier treble than the Levinson, but its texture is leaner, less luxurious, and especially with soul music, I still favored the CD player. The Reference Flow, however, manages to sound at once more luxurious, more refined, more airy, more fluid, more continuous, but also more dynamic and more engaging than the Levinson. Not only does it excel in technical areas such as low level detailing, overall refinement and lack of digital artifacts, but it also combines all these elements into something much more reminiscent of analog replay! An important aspect that for me decides whether or not I feel emotionally involved in the music is a quality that I like to call continuity. It means that sustained notes or their decay/reverb shimmer on for however long they should, without being cut off too early, as often happens with overly controlled audio components or the ones that have “amazingly black backgrounds”. Another important aspect for me is whether I feel that an artist’s presentation is lyrical if the performance “sings”. Some hi-fi components, servers and CD players included, can sound technically superior, but sound somehow restrained timbrally or tonally, even in spite of sounding seemingly very dynamic. In listening to music I like to have the feeling that an artist’s performance is relayed in full, not having individual notes being placed in predefined boxes. I find it difficult to adequately describe this, but for example, sometimes it seems like guitar notes are only played at their dead-center fret positions, almost like it wasn’t a real acoustical guitar, but a sampled guitar played on a keyboard, whilst being played at a constant loudness. The Reference Flow plays such instruments in their full resolution, with seemingly endless tonal variation between notes, sustaining them forever with and portraying them freely in the soundstage. This is what analog records do so easily, and it is why the Reference Flow sounds even closer to analog than my Levinson does. The Levinson has always been my most fluid and continuous sounding CD transport, but compared to the Reference Flow, in spite of sounding very continuous, it’s just a little dry and it lacks resolution and dynamic differentiation. Where compared to the Ultra Flow the CD player still sounded better to me by being timbrally richer and more lyrical, the Reference Flow effortlessly waltzes all over the Levinson and improves on every single aspect of the sound, making me seriously question if I still need a CD player. Spotify is hugely popular, and several of my friends actively use it, and have let go of their CD players and are almost solely using this service for their music needs. It’s not difficult to see why: virtually all music ever made can be found, and it is easy and fun sharing playlists and recommendations among other Spotify users. One of these friends came over some years ago, when I still used my Windows PC for music playback with a HiFace EVO, into the Levinson 360S DAC. He logged in to Spotify with his account and played all the tracks that he knew so well, but he had to agree with me that it didn’t sound very impressive. Even if I will never mistake an mp3 file for a WAV, AIFF or FLAC file, mp3’s can actually sound ok if done well, but the Spotify playback sounded even more compressed than my average mp3, both dynamically and timbrally. No matter how convenient the service was, based on the sound quality I decided that this was not for me. 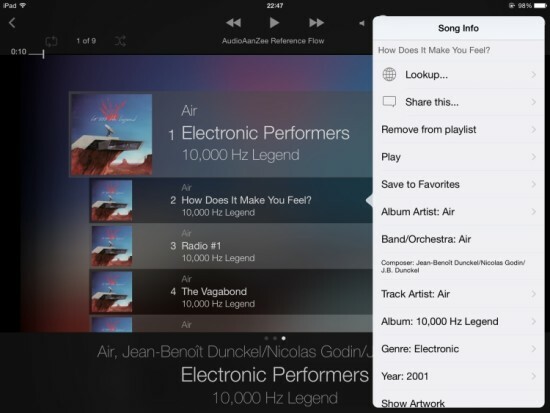 Spotify is also available on the Reference Flow. It is said that they have improved the quality of their streaming, so I couldn’t wait to try this now. Apparently, Spotify are now streaming at 320kbs, and the Spotify app in iPend tells me the format is Ogg Vorbis. Naturally, I did not check hundreds of artists, but I did try to enter non-mainstream ones, and for each of the artists that I did try, I found many albums, many of them the complete range. Spotify also displays doubles, and sometimes this concerns originals and remasters, and that’s easy to see from the year that is displayed under the album title. The originals and remasters did indeed sound different in the ways that you would expect, with remasters sounding louder and seemingly more expressive, but ultimately less dynamic and too much in your face. Across the board, the sound unfortunately to my ears has not improved. It really just sounds like mp3, and although there are no swooshing artifacts like could happen in the early days using bad encoders, Spotify sounds less lively than local mp3 files. There is precious little life or spirit present, dynamics are very compressed, and it feels like all songs are played in minor, the artists having an off-day or something. Alas, no matter how convenient and affordable, I can’t recommend Spotify to audiophiles. btw: the free version of Spotify won’t work: you need a premium subscription, currently 9,99 euro per month. 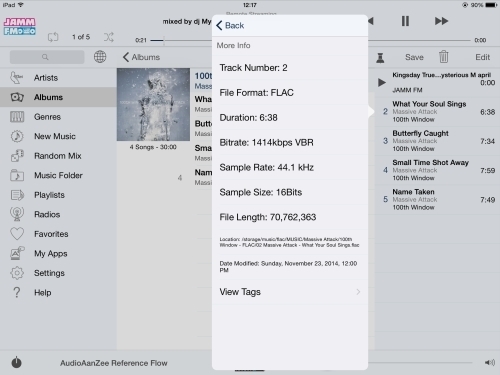 Qobuz works in a similar way as Spotify but offers FLAC streaming in full CD quality, and this is indeed confirmed by looking at the track properties in the iPeng app. 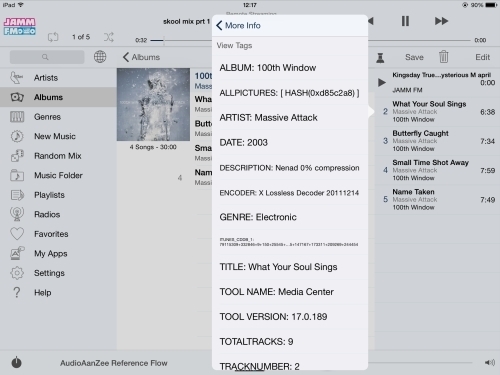 Qobuz does not offer a free alternative as Spotify does, but there are various types of subscriptions, ranging from 4,99 euro per month for 320kbs mp3 to 19,99 euro per month for true lossless 44/16 CD quality FLAC. The database offers albums for every artist that I tried, but it doesn’t always offer all the albums they made. Indeed Spotify always offers more albums, sometimes even double the amount that Qobuz offers. Like Spotify, Qobuz regularly shows duplicates of albums, and I found cases with one being the original and the other a remastered version. However, unlike Spotify, Qobuz does not show the year, so unless the cover clearly shows the difference, you have to listen to both albums to make the distinction. Like with Spotify, it was evident that the remastered versions played louder and sometimes cleaner, but always less involving than the originals. Something I found annoying was the inability to cue within a track. Spotify works the same as when playing a local track: you can just drag the progress bar to anywhere within the track. Not so with Quobuz: the track starts at the beginning, and all you can do is skip to the next track. To assess sound quality, first I cued up tracks from the same albums both for Spotify and Qobuz, and played them one after the other. It doesn’t take golden ears to hear the difference: it really is night and day. 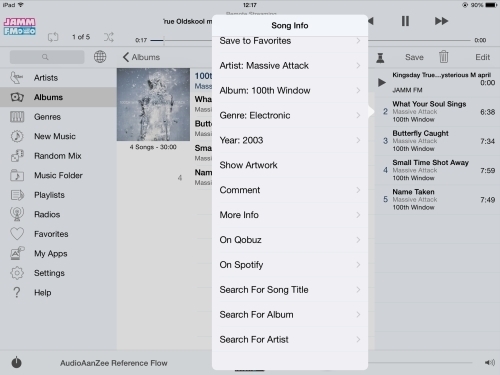 Whereas Spotify sounds restrained and uninteresting, Qobuz immediately does grab your attention by sounding much more articulate, faster and more transparent. Subtle details are clearer and the whole is more dynamic, too. There’s life to the music, which is simply missing with Spotify. To further assess the sound quality, I played a whole range of albums that I also have the CD of, using the best quality that Qobuz offers: 44/16 FLAC. 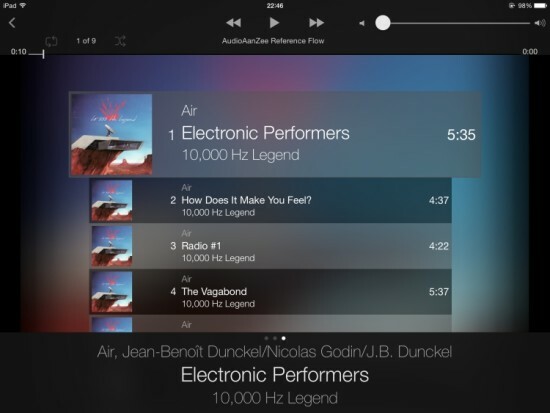 Qobuz is not boasting: as I already heard in the Spotify comparison, their service really does indeed sound much, much better than on-demand mp3 streaming services like Spotify or regular streaming radio. Even though Qobuz streams in lossless FLAC format, when compared to Local files, be they FLAC or WAV, I still cannot say that the quality is the same. No doubt, compared to Spotify, transients are faster and sharper, and there is definitely more of a lyrical quality to the performance, but the music still does not feel entirely free. I find the sound still somewhat dynamically restrained and veiled, not hugely distracting, but akin to listening with speaker grilles on (as opposed to removing them). The good thing about Qobuz though is that everything I tried definitely easily sounds good enough to enjoy. The “compressed” quality as described above is not so evident that it ruins the performance, oftentimes merely offering a very mild form of polish, to make rougher recordings sound more friendly. So, I am not bashing Qobuz, to the contrary: it is the best streaming service that I have thus far experienced. But it doesn’t sound as good as local files. Should it? Maybe not. For me, I still like to own the physical files, and I still buy CD’s, for ripping, and to play at friend’s places. 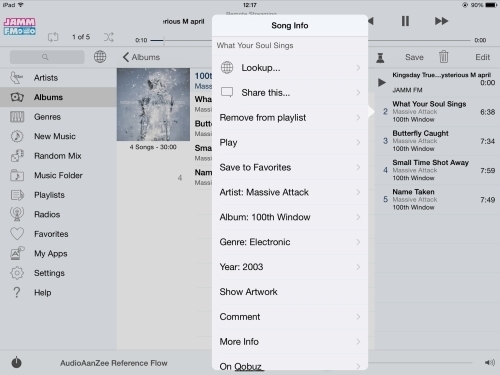 But Qobuz is perfect for exploring new music, as well as for reminiscing with music from my youth, that I only want to listen to once more and not necessarily need to own. 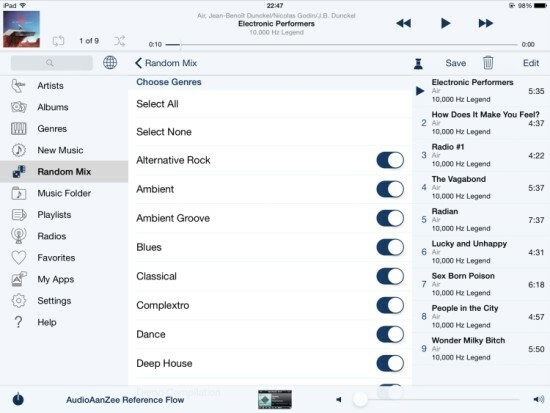 Above: Very well thought out Shuffle function – choose only the Genres you want to hear, then shuffle by artist, album or song. CD players can have lots of character, usually more so than music servers. One can have a preference for a certain character over another, and even prefer the players with lots of character, over the ones that sound utterly neutral. 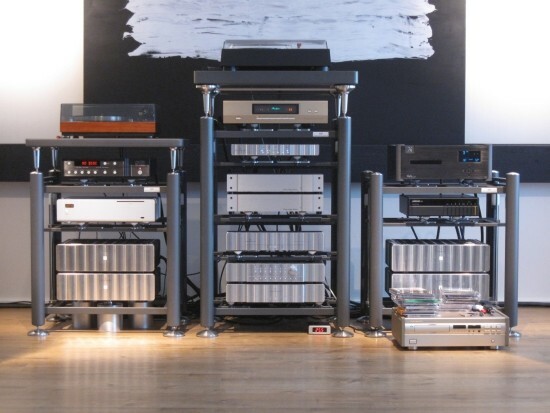 Wadias, for example, have a very distinctive sound, and especially in setups with planar speakers, this can really supplement the emotional aspect of music, as long as the player is integrated well into the system. Wadias can sound overly dry, congested, or slow, if not bedded in well. 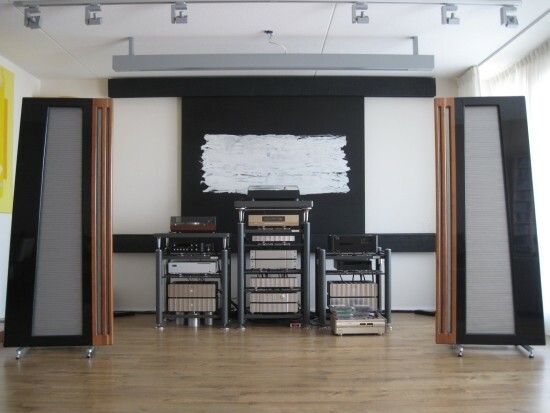 Many years ago, with a previous incarnation of my setup, I had a Wadia 861 that did amazing things with the soundstage and really complemented my otherwise thin sounding Martin Logans, but never sounded as fluid or open as I liked. In my current setup, I have used a more recent, and relatively more fluid sounding Wadia 781i to complement the Levinson/Aeris combination. With my speakers still at the other end of the room, the Wadia 781i sounded more acoustically convincing than the Aeris, but over time I found that it wasn’t quite as lyrical as I liked, and remembered the older Wadias to be. 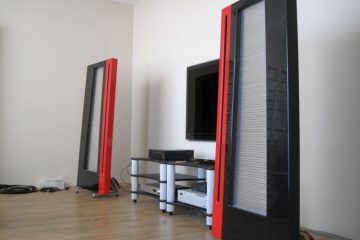 With the speakers in their current position, things changed, even more, the Aeris now sounding much fuller and acoustically more convincing, and the Wadia seemed to have lost its benefits. What’s more, I started to feel that the 781i had become even less lyrical than the Levinson/Aeris, instead sounding weaker and somewhat detached, so I decided to sell it. 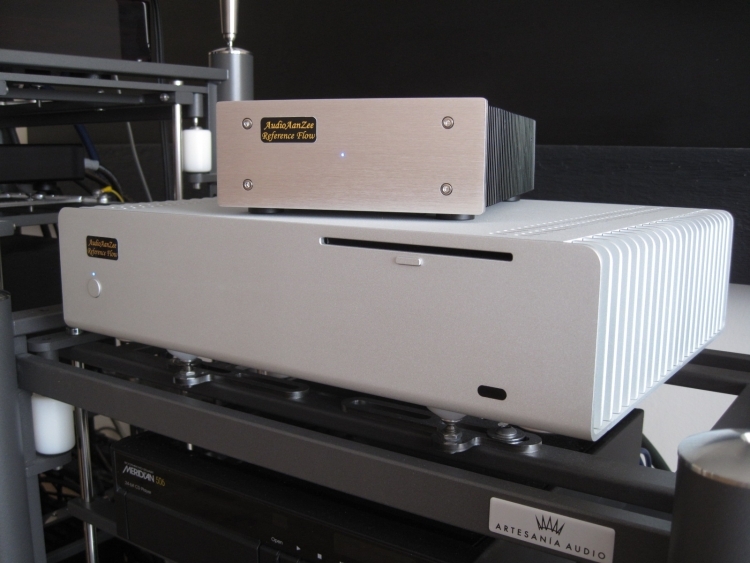 While carrying out the Reference Flow review, I had on visit a Wadia 861. An oldie but goodie, and one with very strong character. 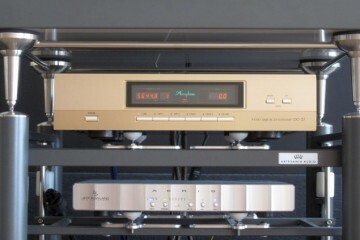 This Wadia 861 was used with the same interlinks as the Aeris, connected in turn to the same preamp inputs, with levels adjusted. Before starting the comparison between server and Wadia, first comparing the music server and Levinson (both into the Aeris), it was amusing to realise how comparatively the Reference Flow now sounded more like my Levinson, and the Levinson was more reminiscent of a typical Wadia CD player for its downsides such as lower resolution and dryness in the treble. 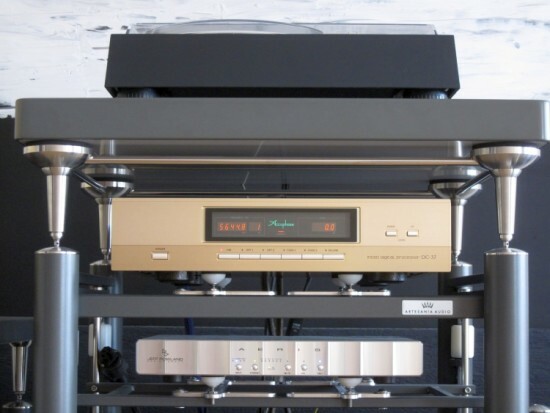 Sure enough, when switching to the Wadia 861, its timbre was still fuller, but the player also sounded a lot darker and was decidedly less fluid and refined than my Levinson, let alone the Reference Flow. I felt that the Wadia sounded familiar and certainly engaging, but because of its strong character, I would not be happy with it anymore, if it were my only music source. Soundstage-wise, I couldn’t hear much difference, and ultimately about the only thing that could be said for the Wadia was that in sounding tonally darker and fuller and by being less open, it allowed for less than stellar recordings to sound better than they are, for example by making a keyboard sound more like a real piano, and making a soprano saxophone sound more like an alt saxophone. Anyway, these are not functions of the server front end, but of the Aeris versus the Wadia. Also on visit during this review was the very luxurious Accuphase DC-37 DAC, which was not only interesting as an alternative to the Rowland Aeris, but also because it plays any audio format up to 32/384 PCM and up to 5.6448Mhz DSD. 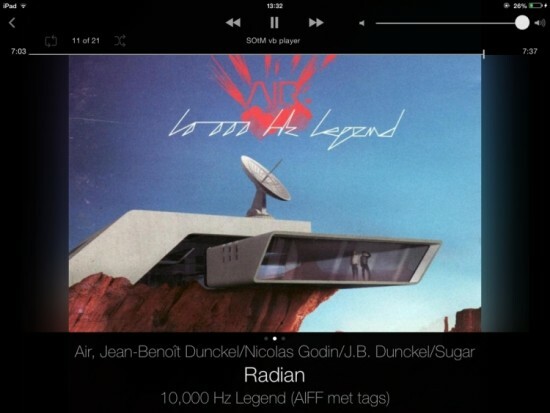 While the Aeris only plays PCM and only up to 24/96, the AudioAanZee Reference Flow plays virtually all formats, DSD included. First starting with vanilla CD based files, the Accuphase has a different presentation than the Aeris. It is very well-behaved and actually even more refined than the Aeris. With Cardas Hexlink Golden 5C interlinks (same as used with the Aeris, but connected via Cardas XLR-cinch adapters, because the DC-37 sounds better via cinch than via XLR), the DC-37 sounds airy and relaxed. Its presentation is very transparent and neutral, but not overly so, as long as lively cables are used. The Harmonic Technology power cables that work so well with most of my components (Aeris included, but not Wadias), definitely is not a good match with the DC-37. 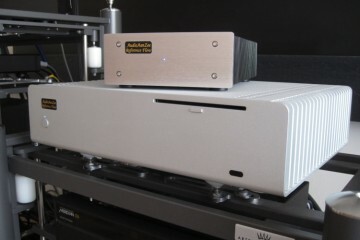 A good match was found in the Reference Tweaks Gold Label (no longer available), which is an enhanced Furutech Alpha 3. A plain Furutech Alpha 3 was also tried but it sounded too thin for my taste. The Aeris does involve me more in the music, mostly because it presents sound in a more 3D fashion, is more dynamic and has more character, much in the way that the Wadia 861 has. This is not to say however that the Rowland outclasses the Accuphase, although, maybe it does by a small margin, but then it also costs a lot more. The main thing is that while I do like the DC-37 a lot, and it definitely works well with the Reference Flow, the Rowland is just more to my taste. What was interesting to note though was that the DC-37 sounds much fuller and richer than I remember either the DP400 or DP410 CD players to sound. Especially the latter was too thin for my taste. It’s as if the DC-37 took on some of the luxuriousness and color so typical of Jeff Rowland products while maintaining the Accuphase-typical neutrality. The DC-37 plays DSD files up to 5.6448 MHz (1-bit 2-channel) and PCM files up to 384 kHz (32-bit 2-channel), and all hi-res files I tried certainly sound very open and superbly airy, but I’m afraid that I’m just not a DSD kind of guy. 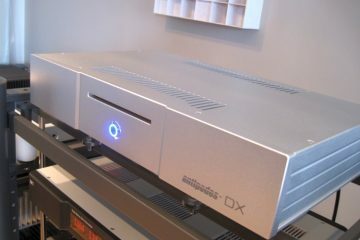 I have tried 2 DACs before with DSD played from a computer and have had 2 SACD players, none of which convinced me to collect more DSD files or SACD’s. With the Accuphase, as with any DAC or SACD player that I tried, DSD sound is thinner, and lacks color and substance, compared to the PCM counterparts. I have a few test files that are recorded in various bitrates and sample rates, starting at 44/16 PCM, via hi-res DXD and ending at 5.6448 MHz DSD, and invariably for me, the sweet spot is 24/96 – 24/192 PCM. Above that, there’s the law of diminishing returns, as well as an ever-thinner bass. It might also have something to do with my speakers’ inherent high resolution, but for me, DSD is not a necessity. Certainly not when the Reference Flow sounds so utterly analog with 16/44 already! I am admittedly a bit of a collector, and I do like to have options. 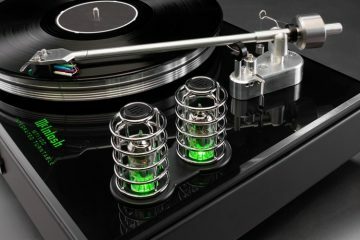 I have various CD players and turntables and like them for different reasons, and if I had more rooms, I would probably set up different audio systems so that I could enjoy all the different qualities that exist among audio components. 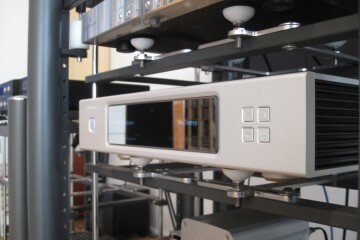 But the reality is that it is more practical to have one main system, and for this system, I am sticking with the amazing Jeff Rowland Aeris DAC, and wholeheartedly add to this my new reference in music servers: the AudioAanZee Reference Flow. I would not have thought it possible, but this server has severely beaten my CD reference not only in certain areas, but entirely, and with a large margin. The AudioAanZee Reference Flow not only comfortably beats my previous digital audio reference in the expected areas, but adds to this by sounding much more emotional and engaging. It does this by presenting the music as a relaxed, continuous whole while maintaining PRAT and offering superb dynamic differentiation, and this brings it very close to the analog ideal. 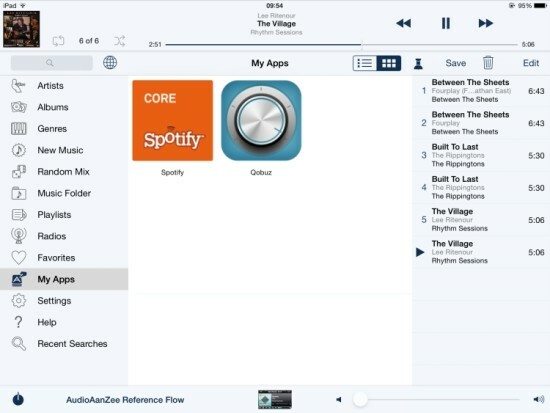 Did you listened to AudioAanZee Reference Flow connected to Berkeley Alpha USB ? Berkeley alpha usb is an usb to spdif converter. I have not yet heard the Berkeley USB converter, nor their DACs. Perhaps time for me to investigate… I did try the Reference Flow with a HiFace EVO and this was not as good as a direct USB connection. I use macbook + berkeley. reclockers like regen and iusb never improved the sound and i guess if i upgrade to low power fanless mini PC with linear power supply the sound may be better than my macbook. Reclockers have not done it for me yet either. The Reference Flow music server easily beat any Mac/PC that I used for music playback, even when using PureVinyl or Amarra, or similar programs on PC. 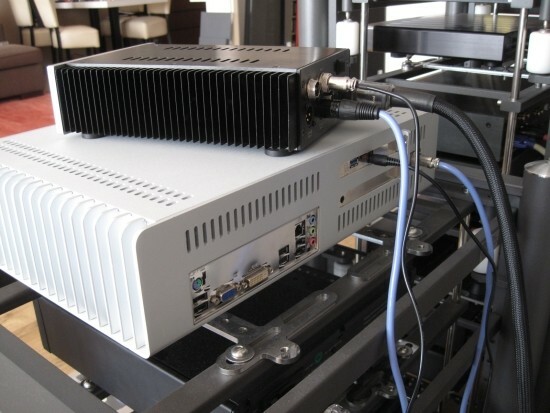 It’s not only about the linear power supply, it’s also to do with the OS. On a dedicated server that is only made for playing audio and nothing else, for example under Linux and with all unnecessary drivers and programs disabled, you generally get better sound than on a generic computer running big OSes like Windows and Mac OS. There are various tweaks and programs to approach this on Mac or PC but in my experience so far, a minimalistic, music-only server still sounds better. I think you are right about omptimized OS but my experience in computer audio make me think about sotm sound card in these setups. As you know this PCI sound card (with usb output) change direction of usb output. I guess low power mini PC plus Sotm could help. Maybe i think wrong but I guess AudioAAnzee use a different/optimized usb output rather than default usb chips on motherboard. A high end USB card such as the SOtM definitely is an improvement over a standard motherboard’s USB output, but this is only part of the story. The AudioAanZee music server for example also sounds better than my Windows PC even when using its MoBO USB output. it looks similar to CAPS v4 Pipeline but i have no idea about their inside difference. The CAPS looks like it is a good server too, seemingly with several similar ingredients. I really like your reviews because it is different to other reviewers and i think your taste is similar to me. I hope to you review Berkeley Alpha USB and purist audio anniversary usb cable Because these components are exceptional. did you listen to CEC TL0-X in comparison by computer audio? I did own a TL1x and liked it a lot. 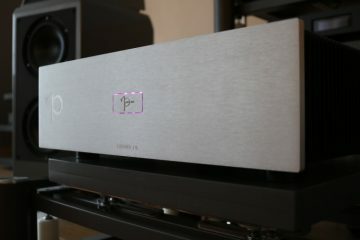 These days I realise that the computer vs CD debate is not so valid anymore, at least not when comparing a high end CD player to a high end Music Server. They will sound different in most cases, but both can present music in a wholly musical manner. The point is that the rest of the system needs to be matched to the tonality of the source component, and this may require different solutions for computer based audio than it does for CD player based audio. In short: don’t expect a music server to wow you right away after plonking it into a system that is tuned to a different kind of source, be it CD or analog. That said, the CEC’s sound signature was fluid and smooth, and this is also the area in which the Reference Flow excells, compared to many other music servers. An Aurender is quite different: tighter, more articulate, and this can lead one to think it is too technical, and lacking the “CEC” fluidity. But now that my system is optimised for this source, I couldn’t be happier. Listening to CD sources now reveals that although still musically gratifying, most of the time they sound a bit thick in the bass and sometimes even woolly by comparison. It’s relative is all I’m saying. i think CEC TL0-x is not in other transport league. it is clearly better in micro dynamics than other music server or any other transport. i would like to find a solution to beat it by computer audio. Did you compare with Aurender or Lumin’s? 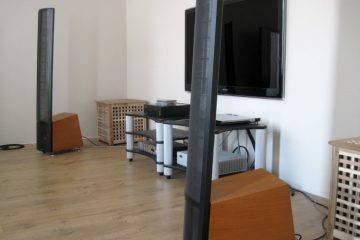 I have not yet heard Lumin but the Aurender N10 is my current reference, and part my main audio system. 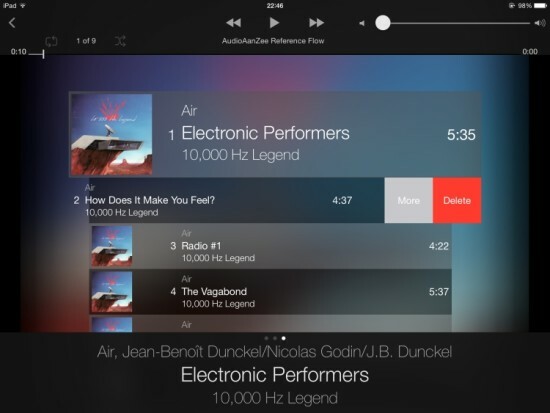 Both are great servers but quite different, the AudioAanZee Reference Flow is fuller, smoother and more forgiving and Aurender is more agile, refined and detailed. 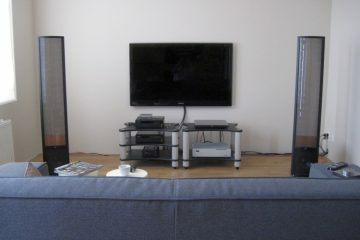 Do note that this is also system dependent, and the Reference Flow worked extremely well with the Devialet 120. 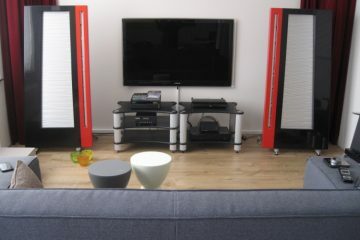 See the Devialet en Aurender reviews for more info.